If you would like more information on this topic, please contact Media/PR department. Born Pretty is an online store that address and serve to almost all the fashion craves at the ease of our pockets. 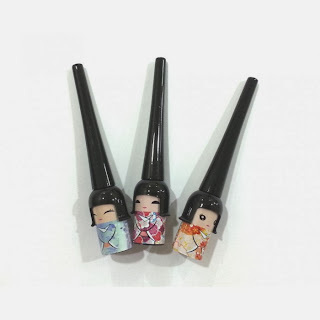 They expertise in selling nail art products and claim to ensure the best prices in the market with safe and sound in-time delivery. I was happily surprised to see the HUGE variety of jewelry and accessories along with stylish hair decorations and accessories. Born Pretty has a wide range of products from cosmetic contact lenses to out door sports, garden and home products. Also; cell phone and PADS' covers. It simply may be the one stop shop. I could not resist ordering some gorgeous products for myself; therefore I placed an order for "Three circles Gorgeous Clear Crystal Wedding Bridal Jewelry Necklace" and a "Butter Fly Hair Fork". Born Pretty Surprised me even more; when I received my ordered package super fast from Singapore to Pakistan just in a period of less than 10 days! 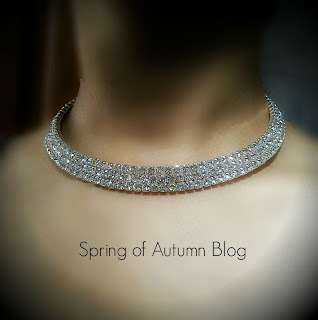 This is a very gorgeous Rhodium plated alloy crystal necklace. I was wondering what is Rhodium Plating; and after a brief research I found out that Rhodum is a very expensive metal that is used to plate the wedding jewelry to make them look more white and bright. It makes silver jewellery look like "white gold". 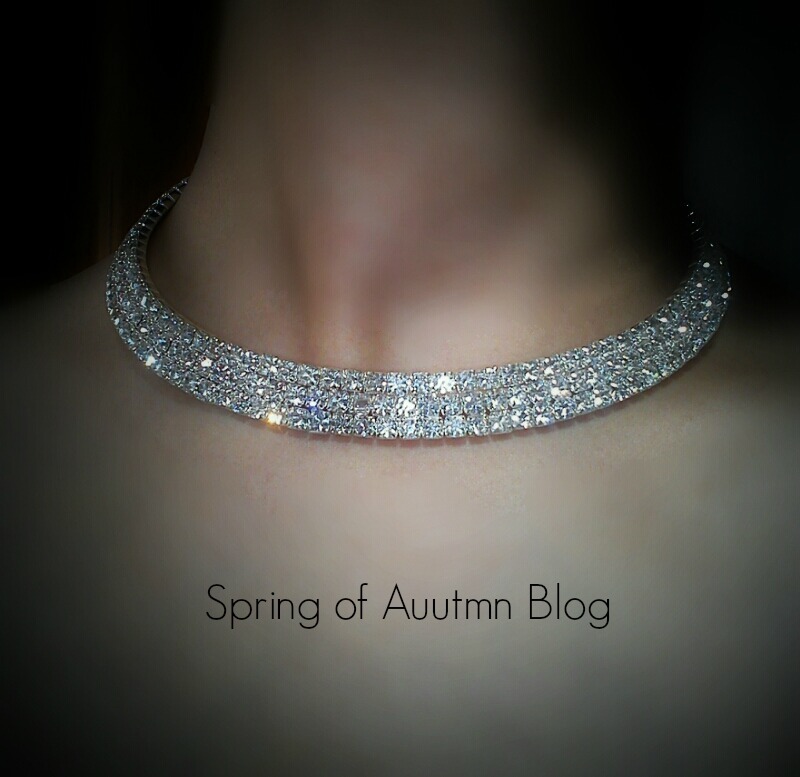 The rhinestone or crystals studded in the necklace are very vibrant and shiny. 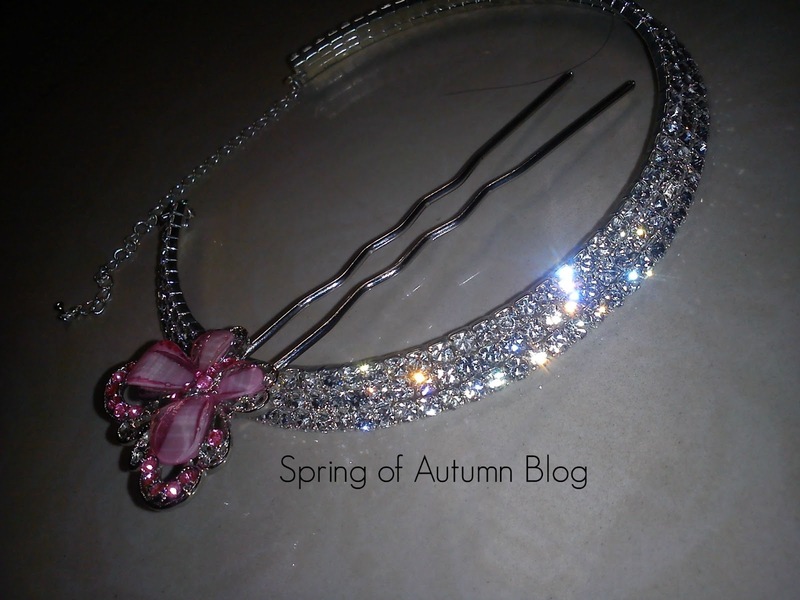 The size of the necklace is 33cm and 6cm is the extension to adjust the size. Rhodium plating though wears off after couple of years; you can give it a brand new touch again by getting it re-plated once again. Also; I haven't yet noticed any rhinestone fall that shows that all the rhinestones are firmly studded. The price of this bridal necklace is just USD 8.00. Very affordable and inexpensive it is a good value for money. These bridal necklaces are also available in two circles and four circles. 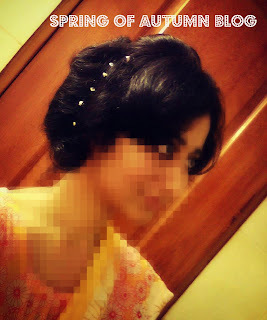 I feel comfortable with hair buns in scorching hot summers. Since the buns gather all of your hairs up and provide enough air to the neck ; they are the best casual hair style for me. I am therefore always looking for hair bun accessories. 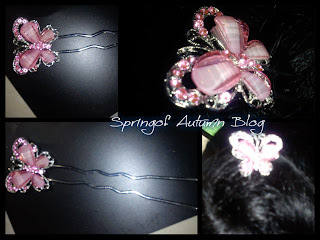 I noticed a cute butterfly hair fork (that is now out of stock i guess. Cant find it on the site anymore) and immediately decided to place an order for. It secures hair pretty firmly; bears the weight of my curly hair bun satisfactorily. It was available in cool summer shades both light blue (kinda ferozi) and baby pink. Over all I had a very good experience with Born Pretty Store. The products I received are durable hence serving to both functional and beauty needs. Recommended! I have been away from blogging for a very long time and not to mention I missed this place alot. My job is keeping my busy as SEO is a full time job. I though keep checking updates from some of my favorite bloggers like Sara Hassan's, NayabLoves, Shang J, Feminine Crusade, Intensify beauty blog, Sadeestyle and few others, I couldn't leave my feedback due to my busy schedule. Today I have managed to come up with an OotD post. 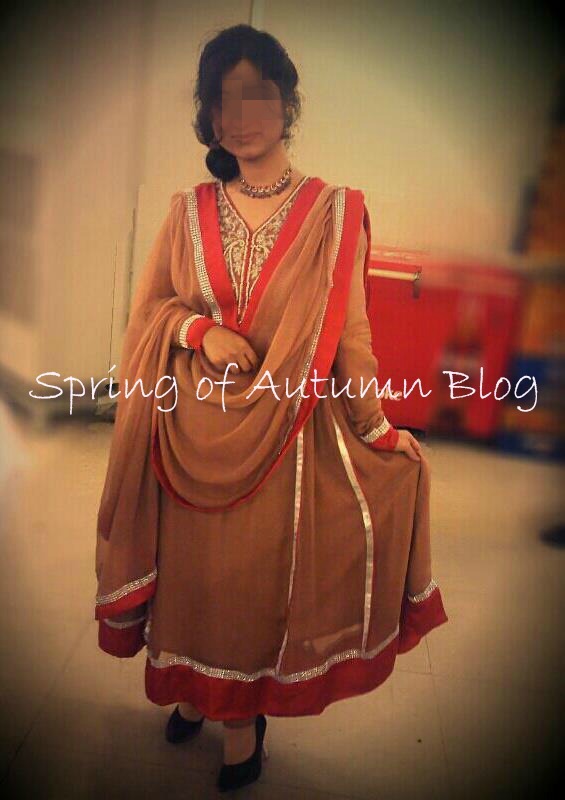 The dress is made of crinkle chiffon with tilla embroidery. I designed it myself by getting an inspiration from a designer's dress. 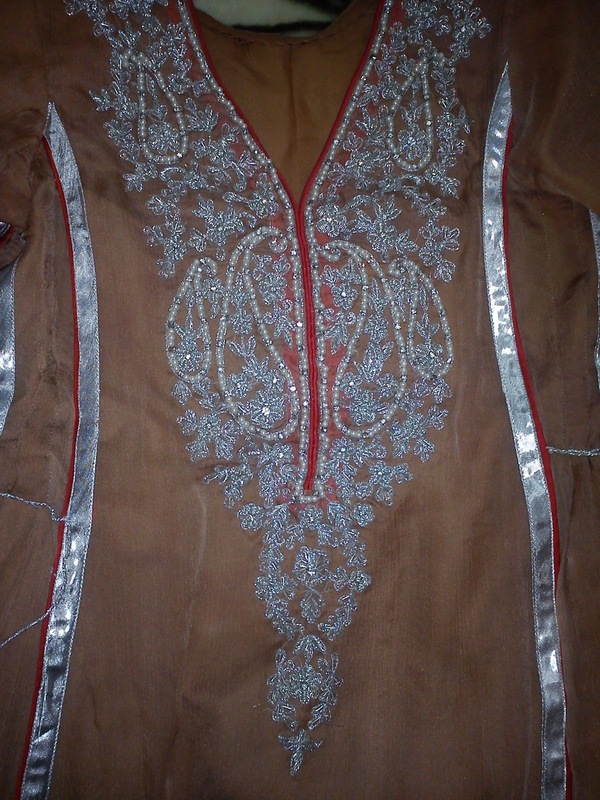 I used tilla embroidery and tilla piping with white pearls and diamonties for the embellishment. 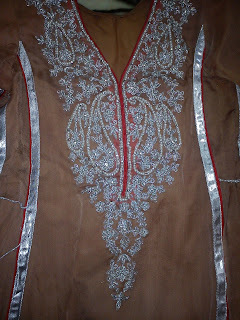 Patch of Rose Red shamoze silk has been used with the diamontie lace in the frock's flare. These days hair straighteners are 'in' but i wanted a look that is more natural and something away from those dead straight and sleek hairs. My hairs are naturally curly, but God forbid not those Afro curls. I therefore, was looking for a hair dryer that couldn't only straighten my hairs but could also prepare my unmanageable puffy hairs for a hair style. Many thanks to Sara Hassan who suggested me to get Remington pro ionic ultra, 2200 watts. The pro ionic ultra Remington blow dryer has a two in one black and chrome body. 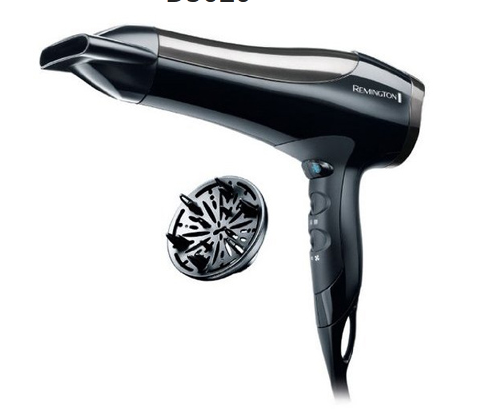 It is an excellent saloon style professional hair dryer with comfortable grip and a cord more than average in length. However, you still need a mirror close-by your switch and plug board. Pro ionic conditioning is a technology that transform the water droplets, present in damp hair into smaller and numerous water droplets which ensures quick drying. 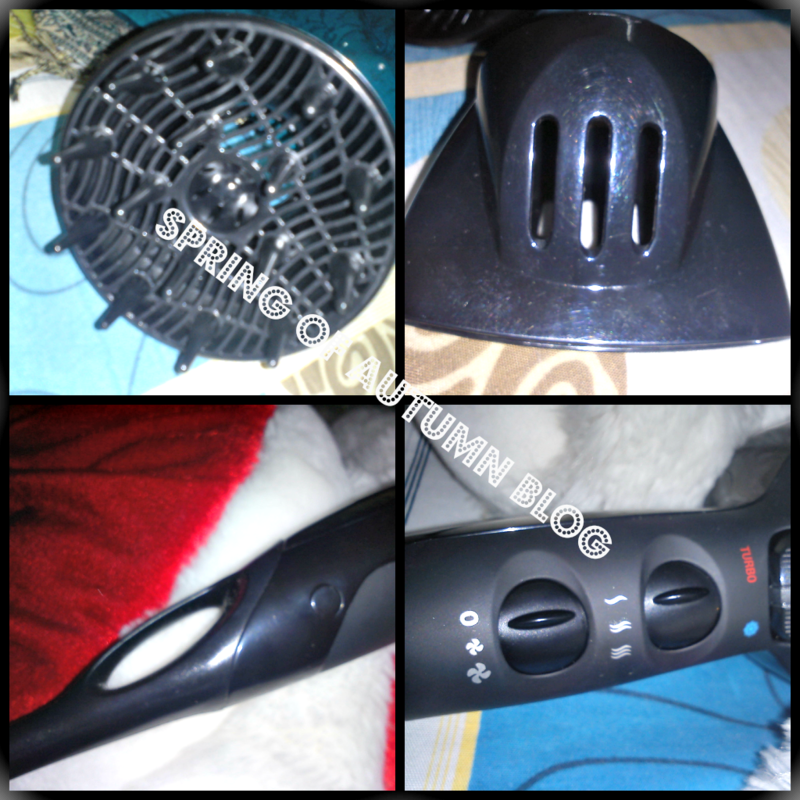 This ofcourse, means less heating and thus less damage to the hairs. Moreover, the grille is also ceramic-tourmaline that emits 90% more ions than other hair dryers. This protect hairs from spot-damaging and keep hairs healthy, shiny and bouncy for a long time. After using this blow dryer on towel dried hairs, I feel happy to notice the absence of those freaky fly-aways , smooth touch and the healthy shine. It has three heat settings. I feel most comfortable with the level 2 heating. The concentrator attached with the packaging makes it even more reliable, since it helps in targeted quick drying and helps hair cuticles lie flat to reflect more light! By the help of diffuser one can create extra bounce and volume in hairs or even may use for defining curls and waves. I havent used it yet, as i really do not appreciate any added volume in the hairs that are CURLY. It also has a cold-shot button to blow blast of cool air, for setting the hair style. The buttons are a drawback. I would have liked if the buttons were placed vertically instead of in a horizontal position. It becomes quite hard to switch between different heat and speed settings when you are yourself drying your hairs alone .The storage loop is quite handy. In between drying-session, it can easily be hung-up on a nail while you make a style or fringe in your hairs. I am happy with my investment and hopes that it will work longer for me. I got it from Just4girls.pk at PKR 4450/- including delivery and handling charges. I had to place a special request for this dryer as it was not available on the website. Good for small to medium length hairs. Excellent for normally thick hairs. Get it if you want shiny, straight hairs free from frizz and flyaways. How much do you give importance to "Soothe" in your life? All of us, at some turns of life feel hectic, terribly tired with our nerves tauten and muscles stretched. This, prevent us from using our best skills and abilities even after putting-in all our efforts and energies. Therefore, one must not neglect mental health. Mental and physical health go side by side. Spa Ceylon, with their ayurvedic treatments is serving the people, helping them feel relaxed and peaceful. 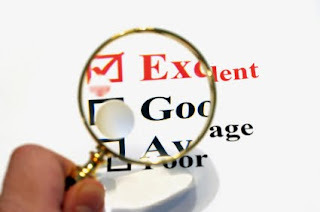 I have previously reviewed some very great products of the brand, and today I am here to review yet another wonderful item from their stock. It is "Comfort Pain Reliever Balm" and "Vatha Pain Reliever Herbal Compress". 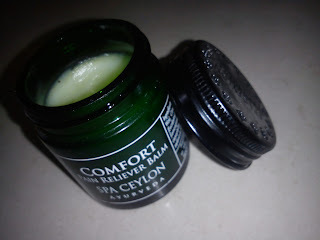 I must say this balm is excellent. Much better than traditional pain reliever balms like moove or iodex. It has a very buttery consistency that appears semi-solid in the bottle but will melt as soon as you touch it and apply on your body/affected area. It has very strong mint smell that immediately lift-up the senses. Applying it provides instant comfort and relaxation from worldly thoughts. It lays a very soothing effect and quickly reduces muscular pains, joint aches and sprain. It contains paraffin free pure essential oils. I do not recommend to use it serious medical conditions, however it is quite effective for minor body aches and sprains. I got a steel rod fallen on my foot from the height of almost 5ft. I immediately applied the balm and kept it in use till 3 days twice a day. It lessen the pain in first few uses and totally vanished the third day. It is a heat activated herbal compress. It soothes, calm and relaxes both mind and body. It is best for therapy and cures muscular stiffness. My mom has backbone disc problem and she often feels pain in her back muscles. It should either be heated in steam for 10-15 minutes or in a micro-wave. After checking the temperature, start herbal therapy with the suitable pain relief balm. I used it with Comfort pain relief balm on her. The compress invigorates the senses and soul, and the patient will fall asleep most probably. The compress may be used upto 10 treatments, and should be refrigerated between uses. I was sent a sample of Lapis Lazuli pendant by Blue Jewel, Islamabad. It seemed more like a talisman, therefore I suggested the supplier to come-up with some uniquely carved jewellery items. I was happily surprised when I got an email by them with some sneak-peak of their new arrivals. Now you can wear the stone of kings and queens, the stone of love, peace and confidence with full confidence!! This will not only keep evil eyes away from you but will also enhance your beauty. Wear it like a Fashionista and flaunt like a Beauty. Now all Lapis Lazuli jewellery is "two-in-one". Stay protected by the qualities of the stone and look like a princess as it is beautifully made! In my latest post, i introduced Blue Jewel- house of genuine Lapis Lazuli. Stones have some very dominant effects on one's life, myth or a fact? 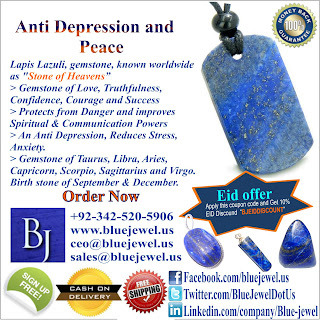 Today I am here with a review on gem stone which is known as "stone of heaven" and "blue gold". 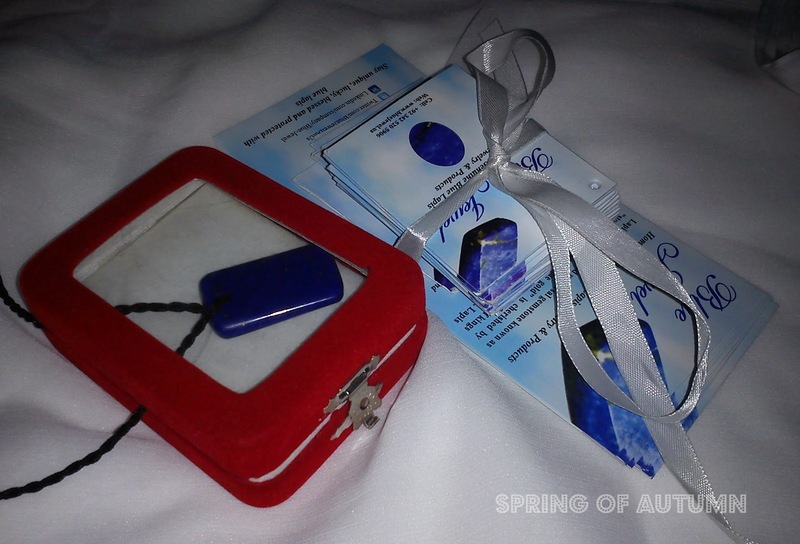 This stone is Lapis Lazuli which is known for its positive energies of love, truth and confidence for the wearer. Blue Jewel is an on line store of Islamabad, Pakistan that offers a great variety of jewellery made by lapiz lazuli gemstone. You may browse through their collection of cuff-links,bracelets, pendants, earrings and rings. 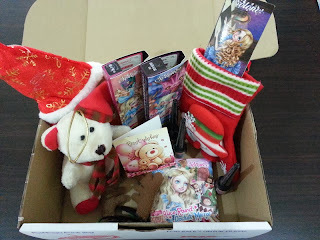 I was sponsored with locket of love and truth by the store. It is rectangularly shaped, hand-polished, very smooth in touch, shiny and deep blue with golden pyrites. 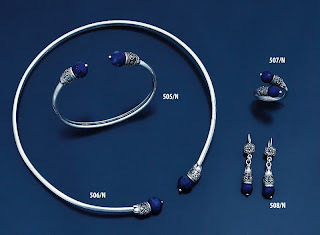 Lapiz Lazuli is always in blue, though shades may vary with either white or golden touch. 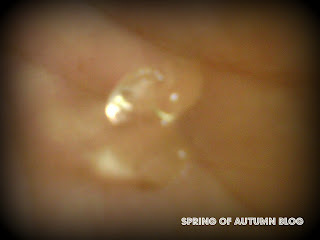 The pendant i got, seems more like an amulet, but can be worn as a jewellery item if studded. 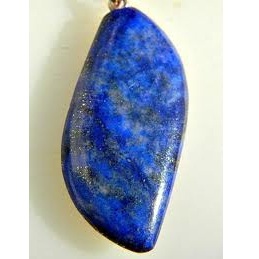 It is believed that lapis lazuli when worn as a locket, helps wearer in making strong decisions and brings victory closer. 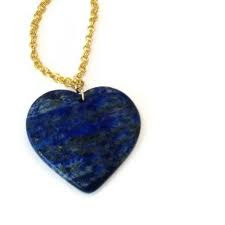 In ancient times Lapis was known as the love of kings and queens. 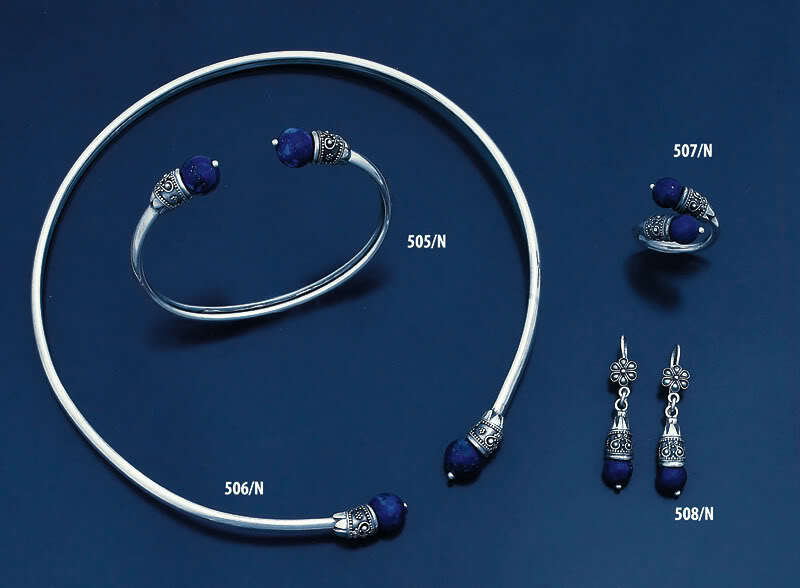 King Solomon, Cleopatra and Dr. Allama Iqbal would wear and use lapis in different forms. Cleopatra would use its powdered form as an eye-shadow. It is the gemstone of love, courage and truthfulness. It makes wearer confident, so it may be used as an healing agent for those who are too shy to face public due to lack of confidence. It is known for its anti-depression and anti-stress qualities. It keeps danger away and repel magic and evil eyes. It improves and cures medical conditions of eye and throat. It also cures blood-pressure. Very adorable classy jewel box to keep your gemstone safe when not wearing. The gem box has red-velvet covering with a glass top. I am fond of tracing the origin of the different things specially when they have a history attached. 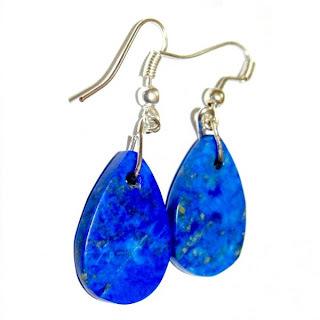 It is said that lapis lazuli was among the first gemstone that was carved and used in jewellery. It is found in Egypt, Chile, Russia and USA and in Pakistan but the best quality comes from Afghanistan. 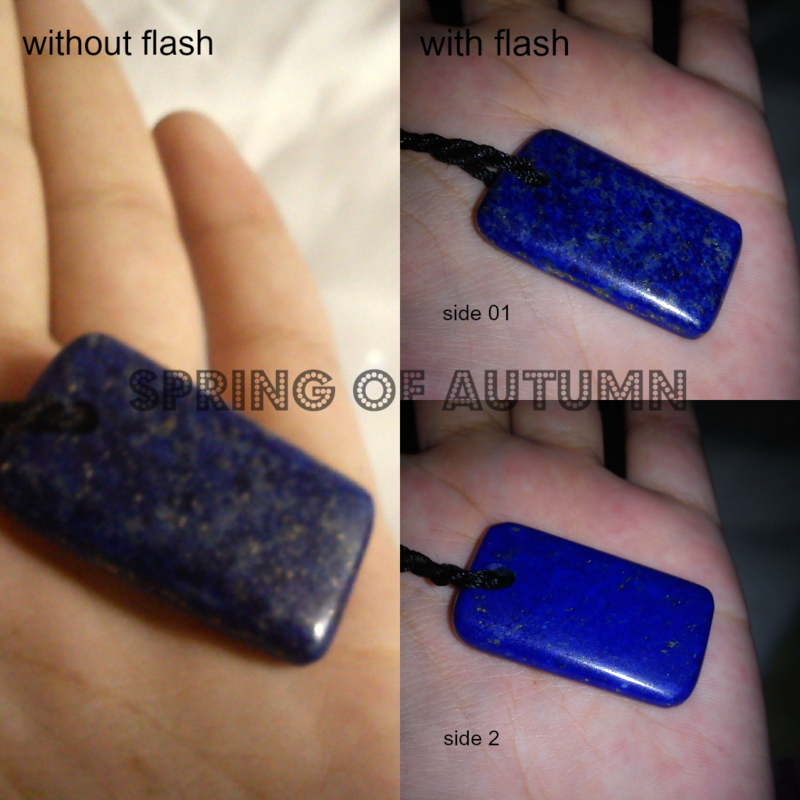 It is believed that the more blue the stone is, the more worth it possess. 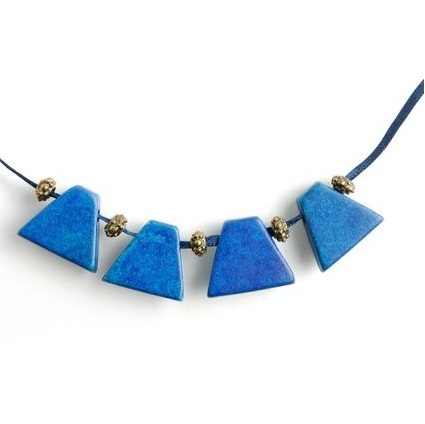 Egyptians would admire this stone as precious amulets. Worldwide lapis lazuli jewellery is widely common. It make very fine rings, bracelets and earrings. People love to keep the stone in many different shapes and styles as an alternative to jewellery and may be as an amulet due to its healing powers. 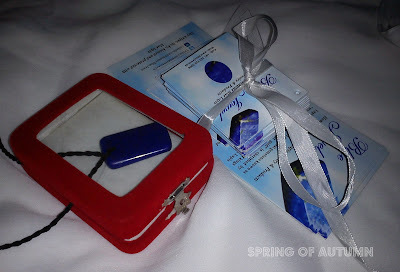 Lapis jewellery may serve as the best gift for your loved one, and the packaging you are to get on your purchase at Blue Jewel speaks for itself. You can also look for Lapis and silver jewellery at Blue Jewel, Islamabad, Pakistan. 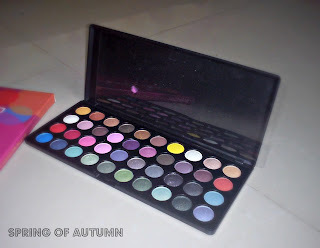 I am super crazy for eye shadow palettes, therefore few days back i thought of trying 40 color BH- Party girl palette. I wanted a full funky palette but at affordable price tag and BH- party girl seemd a good option. 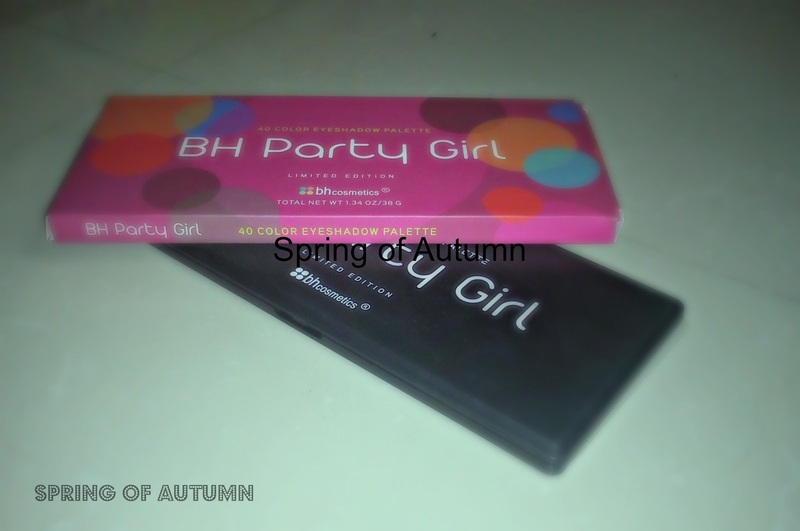 "This 40 Color BH Party Girl Eyeshadow Palette was made to fulfill the ultimate socialite's dreams. Whether you want to go for flirty or cosmopolitan, this makeup palette contains must-have shimmer & matte shades for double-taking beauty at your next big event", says company. BH 40 colour party girl eye shadow palette comes in 40 vibrant and joyous shades that will most probably fulfill all the party makeup needs. 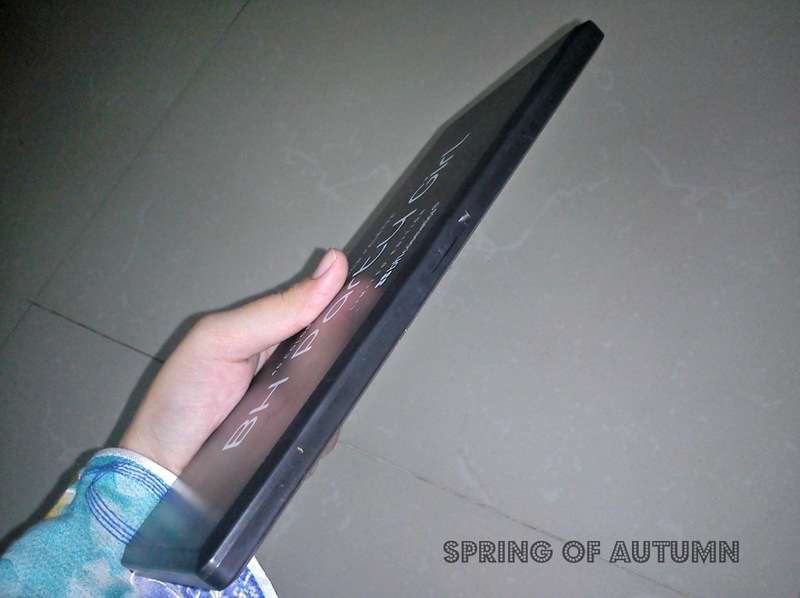 It is a sleek matte-finish plastic palette that is black-jet in colour, hence developes finger-print on frequent touching/holding.It is a good combination of matte and shimmers of bright and cheerful shades. Having a fine number of natural, party and smokey shades it is sure to stay my favourite for a long time. 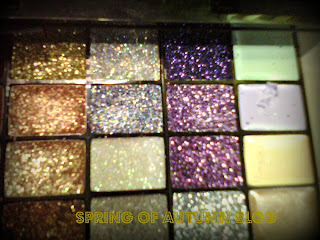 It is highly pigmented, however some shades are more hard in application than others. Specially you need to workout pretty long when you are working with shimmers. 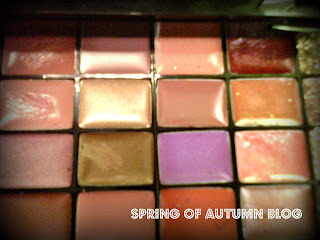 Mattes are not only good for blending but also invite less fall-outs than shimmers. Brown family with rust, bronze, mustard and gold is the winner of the palette if you have an appeal of wearing natural eye-makeup. The most eye-popping colour in the whole palette is Yellow, that stands alone! It will attract your attention as soon as you open the palette. Honestly i didnot want to see it but it creates cool look. On the other hand green is the most populated family with seven shades. Over all the palette is extremely good for blending and you can create many different eye looks with this single palette. Price : I got it from Just4girls.pk at the rate of PKR 1,500 only. 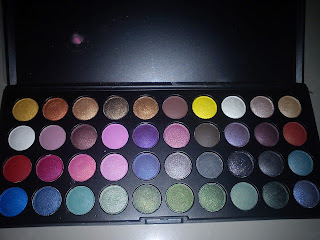 End of the Line: A good value for money if you are looking for a funky eye shadow palette. Just4girls.pk is Pakistan's premier online store that stocks international branded cosmetics. I always have very pleasing experience by shopping from just4girls.pk. Like everyone i was a bit afraid to shop something expensive from the store at first, so just for the sake of trying, I ordered MUA bronzer in march/april, that reached me in right shape. With the first successful purchase, i was encouraged to shop more from here. 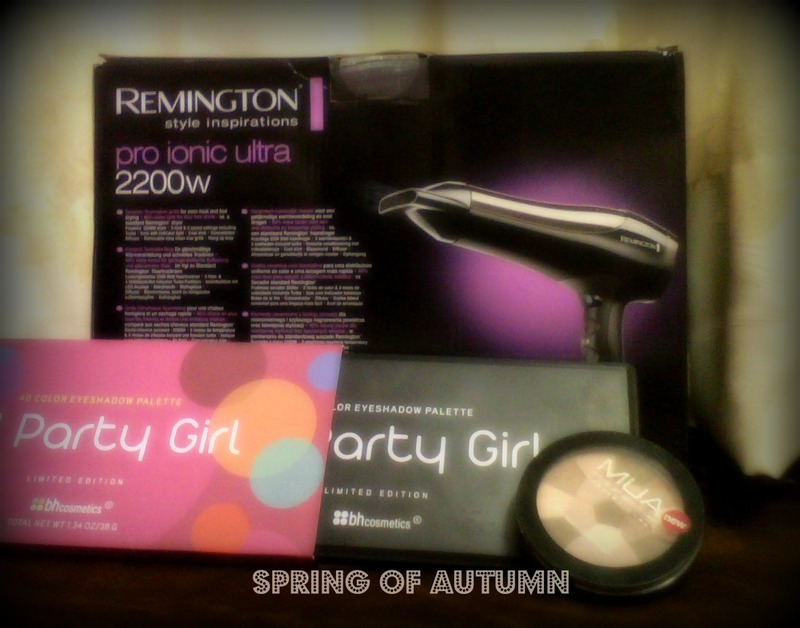 I therefore ordered for a Remington Blow dryer which is around PKR 4,200. Other than a bit delay in delivery i found no bad point. Even there is a reason behind this delay. I wouldnot be having this dryer if just4girls.pk hadnot existed. It was not available in Lahore's malls. Or you can say that i didnot want to take risk. There are many fake versions available in local malls/stores of such electronics, hence making it very difficult for a lay man to differentiaite between fake and original. Contrary to it, just4girls.pk has made its name in reliable shopping in such a little time period. You can trust on the site/store with blind eyes. I placed a special request for the dryer since it wanot available on the website. I had to provid them with the images, model no. and all the further details possible by googling. I would here like to pay thanks to the customer service representative Hifza, who has always been so kind and helping. 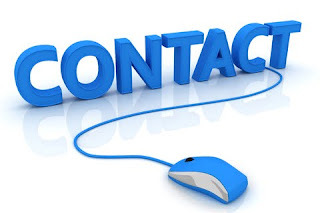 The immediate responses of all the queries from her, really push you for a purchase. My third purchase was the BH-Party girl Palette, that too reached me in perfect shape. The orders/products are all wrapped-up by bubble-sheets with care. I am very happy and satisfied by the working of this store, since it has brought all the branded international cosmetics in everyone's reach. You just pay, and become their fan! ello, I am back after a very long time, kindly accept my apologies. I had been quite busy in office life,and i hope you can understand how tough life becomes when you yourself are the head of department. My responsibilities werent letting me to manage time for my blog. Anyhow, I am here with a great review- once again LizEarle is here. Liz Earle is the brand loved by many. It seriously is worth it. I was offered Liz Earle sheer skin tint moisturiser in shade beach 03.Shade beach 03 is defined as "the medium-to-dark shade, this works well for suntanned, olive tones and a variety of Asian skin tones", by the company. It comes in a 40ml black squeezy tube with a glossy finish. I am in love with glossy tubes and packagings. No doubt, all the packaging of the product is very sophisticated and seems to adjust your mood if you have a decent aesthetic taste. I was very excited to jump into trying the makeup range of Liz Earle, and surprisingly i got my hands on the very most wanted product of the brand couple of months back. Sheer skin tint is packed with SPF 15. It is light weight, but very creamy. I have oily skin and after squeezing a little amount of it from the tube i found myself a bit reluctant to apply it. I was afraid that this creamy mixture would make my skin oily or shiny that i absolutely hate. However, on applying and blending it completely i was happily encouraged to add it into my daily casual routine. It blends well, giving my skin a very glowing dewy but natural finish. It provides light to medium coverage. It will not conceal blemishes, acne marks or pimples. However, the redness or skin irritation (not chronic) will be concealed to some extent. I would strictly suggest you to not to consider it an alternate of your foundations, as it provides only light to medium coverage. If you have naturally flaw-less skin then only you would prefer to skip your foundation. I use it daily as a tinted moisturiser and not as a foundation.Only a little amount is enough for my whole face. It keeps my skin moisturised and hydrated with a little fancy look. I have my heart for it, since it keeps my skin look naturally glowing. However, i avoid using it when I need good coverage or a party look. I also wear my usual sun block beneath it, as spf 15 isnot enough for the hot climate of my city. It is available for £21.00, and is available in four shades. 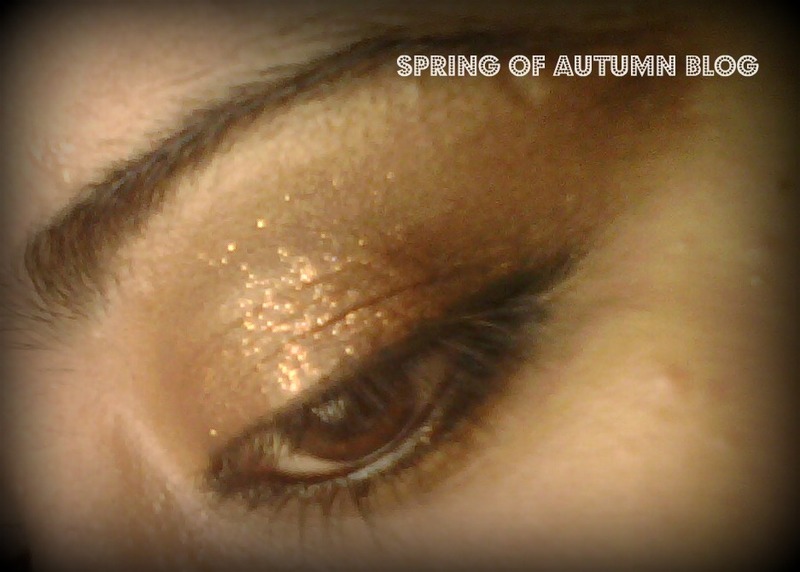 Provides perfectly natural look with a healthy glow. I donot like the smell. 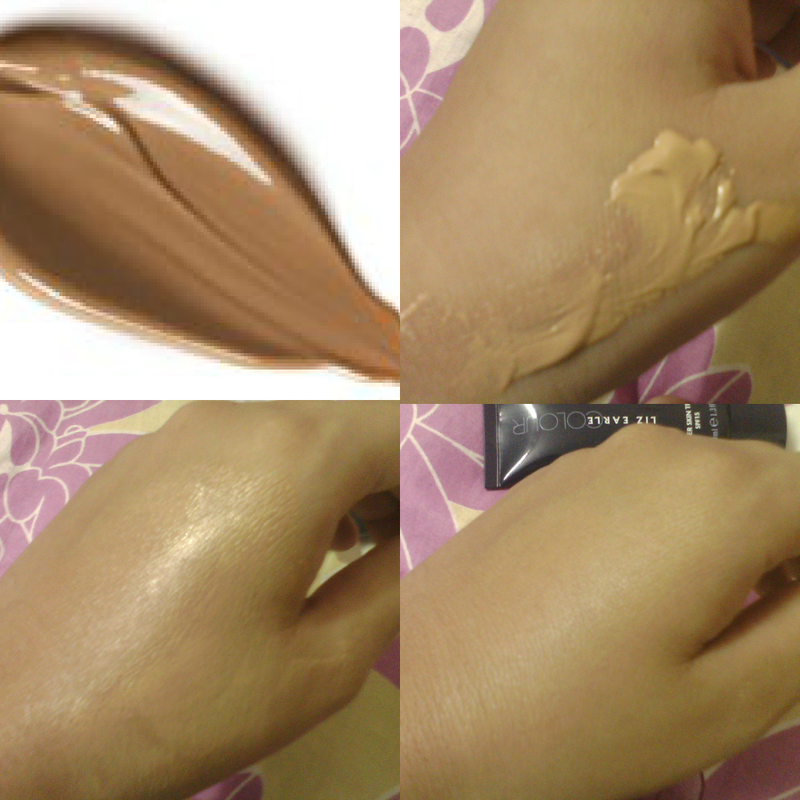 Less shades, there is a need of atleast two shades in between beige 2 and beach 03. SPF isnot enough for warmer countries. Welcome it daily, if you fancy a healthily glowing skin. P.S the shade present on the website is almost 3 times darker than the real shade. Please see the comparison in the picture above. Ishqe Rasool: Government, Media or the People of Pakistan? Burning banks, killing own country men, destroying public property, blood-shed, riots and robberies. Is this the way to show love to Holy Prophet P.B.U.H? Government of Pakistan declared 21st sepetmber,2012 Friday a day of expression of love to Holy Prophet S.A.W, that should have been welcomed by the people of Pakistan. We should have observed it peacefully to cast a positive image of Pakistan to the other world. Unfortunately we are the people driven by emotions or most probably some hidden henious facts. Is this ishqe rasool that totally nutter masses gather at a place burn tyres, put buildings, cars and petrol pumps on fire and rob the shops and malls? Isn't it insane to punish our ownselves on a crime which we cant even think to commit? I agree that the blasphemous film has infuriated us. The producers and everyone involved in its making should be punished exempolary, but look who is at loss today? The one who made the film must be laughing, lying back in his couch by seeing these religious bigots!! We should have got our protests recorded in a peaceful way. All the rallies organised, the seminars and the live programes at media would have been enough to do this job, but we the genius people of Pakistan love Holy Prophet S.A.W more than the sahaba karams, it seems. Do we even know what were the teachings of Holy Prophet P.b.U.H about? He was sent as a mercy to the entire world. Unfortunately, being extreme sentimental we are destroying our own identity. This day instead of promoting relegious peace, harmony and love-has promoted loathe, anger and furiosness. We will be called Violent, intolerants and extremists at global levels. Who is responsible for today's deteriorating social and political condition? Though its only in Pakistan that a day devoted to the Love of Hazrat Muhammad S.A.W has been observed at official level, I think that government is equally responsible in the blood shed along with media. People are insane, illeterate and emotional that drives them crazy. However , it is surprising that government and media both, plan the policies and form strategies by keeping their brains aside. In the race of capturing more and more furious pictures and clips from the mad stampede media channels try to overtake each other. The situation would have been quite peaceful if there had been no violent attacks shown on media. Broadcasting and telecasting such events/tragic incidents only flare up fellow beings to ignite more flames! On the other side, PPP government that is trying to be so innocent since morning is actually very cunning. 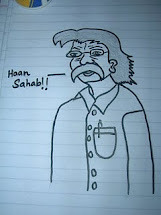 There would be no angry mobs if President Zardari had taken only one decision of sending the embassador back to America. He could have sent him back for few days till the disaster in the country settles. We know we are the slaves of America and Zardari cannot live without the fund he gets from America. If government really wanted to show protest it could have banned NATO supply. In my opinion all of the three, the people of Pakistan, the govrnment and the media are responsible for these wretched killings. Very welldone, This is what we are. We have sent a negative message to the entire world. We are Muslim Fundamentalist. All religions including hinduism and christianity detest the content of the film then whom we are angry at? Instead of killings, we should have demanded a better way out. We should have demanded to send the ambassador back! Why the 2 billions Muslims couldnt get a bill passed against blasphemors yet? If this is jihad then why not join together to fight against the non-believers who support this blasphemy idea? Why should we kill our own people?? Why....? Spa Ceylon is the name of luxury, that guarantees ultimate peace and satisfaction within your reach. I earlier reviewed hand care and foot care. 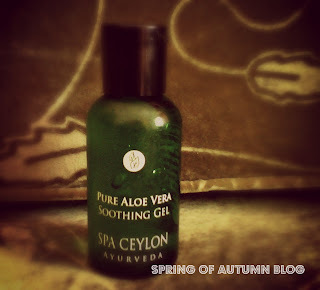 Today I am going to express my thoughts on Spa Ceylon's "Pure Aloe Vera Soothing Gel". Pure Aloevera soothing gel belongs to the subcategory "Outdoor Care" of "Soothe" category. As obvious by the name it helps to reduce sunburns, and minor inflammations occured by very hot harmful rays of the sun. It comes in a semi-transparent hard plastic bottle, cool green in colour. 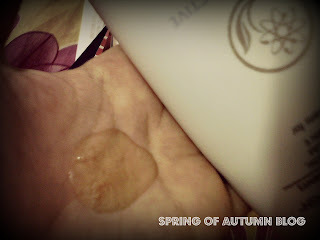 It is a gel made from 100% pure aloevera with amazing mind-blowing smell. 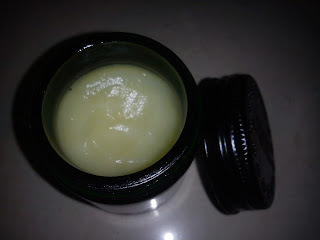 In these hot scorching weather days, this aloevera gel has become my all time favourite. I need not to worry if i have to go out during the day, since I have this gel to instantly relieves and heal minor sunburns. Aloevera is famous for its healing and soothing qualities. Traditionally, in eastern countries people have their own small plants of aloevera and women love to apply the pure juice directly driven from the bark of freshly-cut aloevera bark. The Spa Ceylon has made the tedious process even more easy. You donot need to grow and cut the barks in order to get aloe juice. Simply get your hands on this gel and put it in your refrigerator. After I come back to home I immediately apply the gel on the areas i feel itchy. 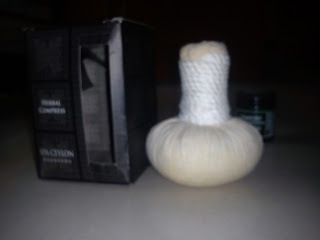 It provides instant relaxation and soothes inflammed, red skin. The cooling sensation is simply brilliant. It also moisturises and softens skin. It even seems to prevent black hard patches on my feet. I found it a bit difficult to sueeze out the gel from the bottle. the bottle should be soft since the gel is thick. A good and handy product that helps in getting rid of SUMMER FEAR! The wait is over. Thank you everyone who participated in the contest. The giveaway that was sponsored by WISH company, has ended and I have also picked a winner who had highest enteries. Nila Kussriani with 119 enteries has won the contest. Congratulations Nila K.
If you donot contact me in the given time period, i'll have to choose another winner. Liz Earle has made me believed that nature has the power to transform our skins into soft, shiny and smooth ones besides dealing with our individual skin problems specifically. Since last month, i have been experiencing a very luxurious bath with Liz Earle Orange Flower Botanical Body Wash. It contains naturally active ingredients like all of the Liz products. These are orange oats and yarrow, rose-scented geranium, orange flower water, natural vitamin E and above all SEVEN pure essentail oils that boost up the spirits! It comes in three sizes 30 ml,100 ml and 200 ml that cost £5.00 £8.50 and £11.50 respectively. Unlike other shower gels, it is a top-side down bottle with a flip- opening, supported by a rubber covering on the hole.The rubber-opening allows only suitable amount of the gel to come outside, preventing any over dribbling. The gel is orangish-yellow in colour that smells bit herbal and bit fruity. 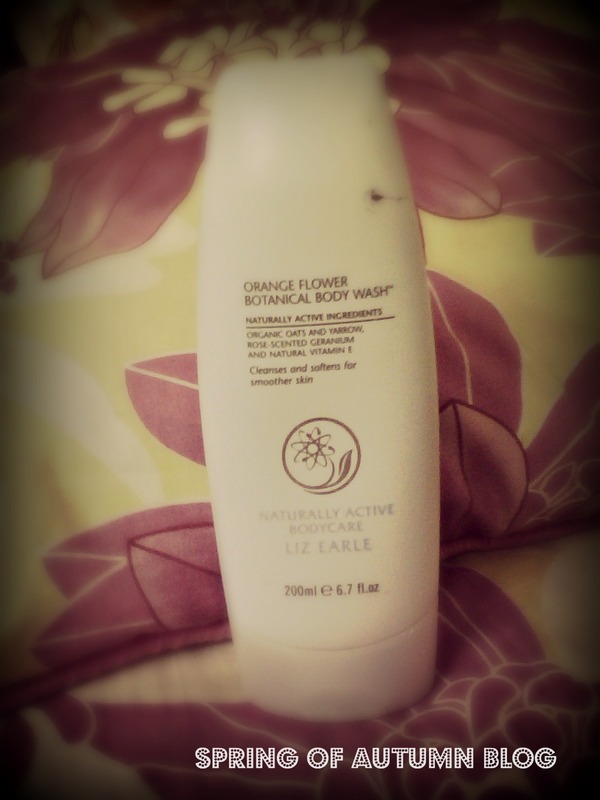 I love body washes that smell strong, thatswhy this orange flower body wash has become an important necessity of my wash room. As soon as i draw it out, I am welcomed by a very intense citrus scent along with rose hints. Perfectly refreshing and revitalisng for summers. Whether you start your day with it, or end your day-it is subjected to invigorate your senses with a delight. 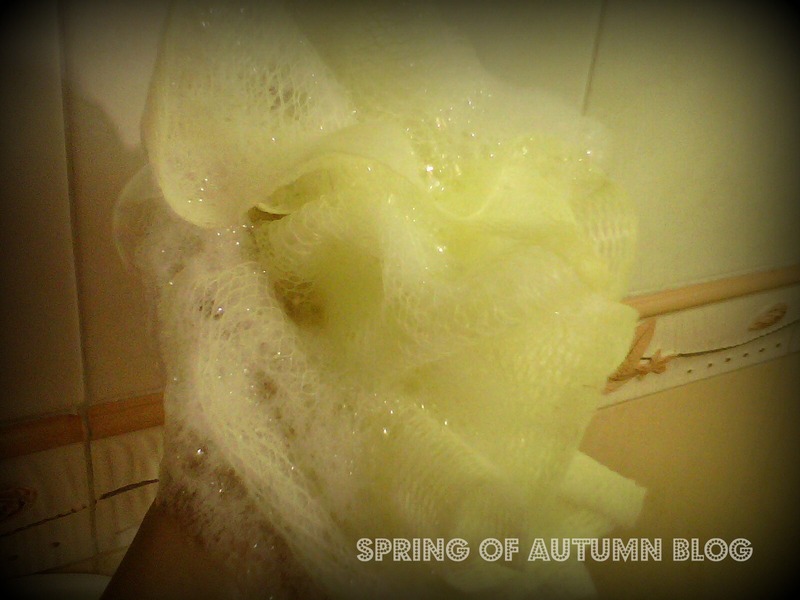 It forms thick pampering lathers, that acts as a perfect turn-on. It cleanse and softens the body leaving you with a heavenly aromatic experience. It is not over-greasy, so neither turns skin oily nor dry. 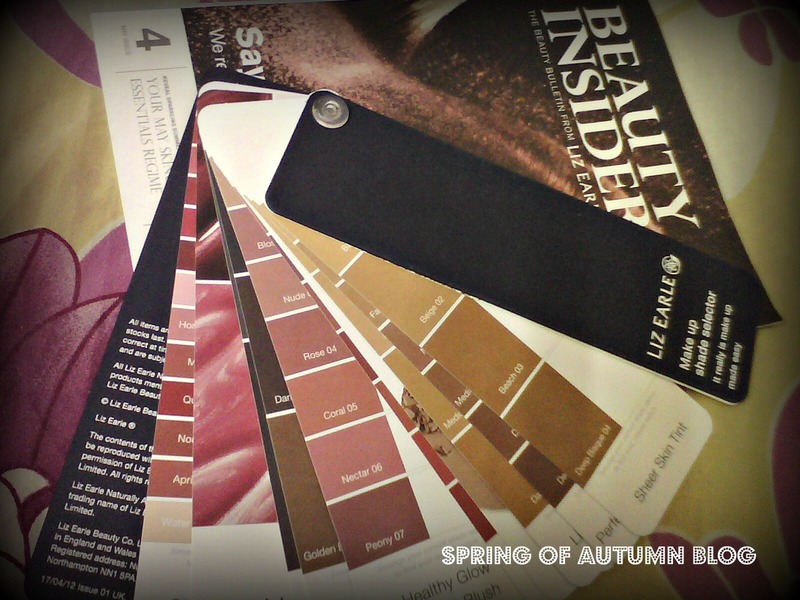 Liz makeup shade selector- selecting shades was never so easy! Blanc to Noir is an online fashion store that stocks all the famous and customers' loved brands including Sigma, NYX,FACEFRONT, NYC, Sally Hensen, rimmel London etc. They also supply some awesome ffragrances from CK,D&G,Paris Hilton, Davidoff etc. In short whatever your fashion needs may be, you are bound to find everything of your choice available at this store. So why should one get into the trouble of ordering your cosmetics from one shop and fragrances from the other, when you can save your both time and energy by placing a trouble-free order at Blanc to Noir?Not only this, their website is very user-friendly. It shows everything on its landing page. You donot need to waste yourtime by continuously roaming about the site. The category tabs show all the brands and products once you roll your mouse on it. you can even save more of your time by browsing the store by brands and categories. The store supports international shipping with complete guarantee of fair parcel shipment. I placed an order for NYX box of smokey look collection that unfortunately was misplaced by Pakistan's custom house and I never received it. However, Blanc to Noir showed extreme kindness and generosity by dispatching another same eyeshadow palette for me that I received with in 14 days. It is a full package for different and complete smokey looks. It contains 58 eye shadows, 2 face colours, 3 blushers, 1 highlight, 1 contour, 1 bronzer,12 glitter creams, 16 lip colours, 1 eye liner, applicators and mirror. There are four sets of smokey looks namely classic smokey, purple smokey, bronze smokey and natural smokey. All eye shadows are matte with few shimmery ones in each set. Classic smokey is the set containing 8 separate shadows of high and light tones of grey & black with a quad. It makes best look for night time functions specially weddings. It has excellent shades of purple, undoubtingly will make you stunning for evening parties. 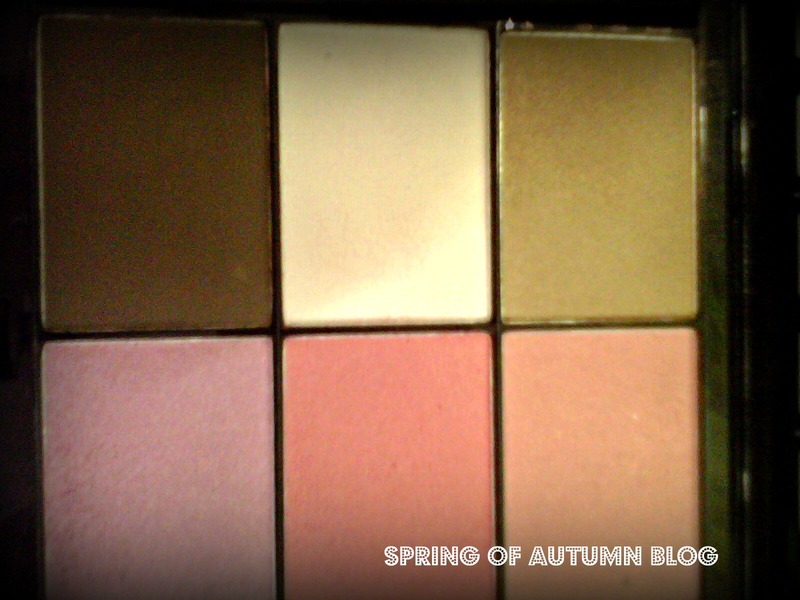 It also has got 8 shades with a quad at top whereas two are the face colours. This got the shades of bronze, and golden. Perfectly suitable to wear in day time. This has captured my heart, even with the heaviest application it will not make you look unnatural or heavy. The shades are lighter than the bronze smokey but seem like belonging to the same family. 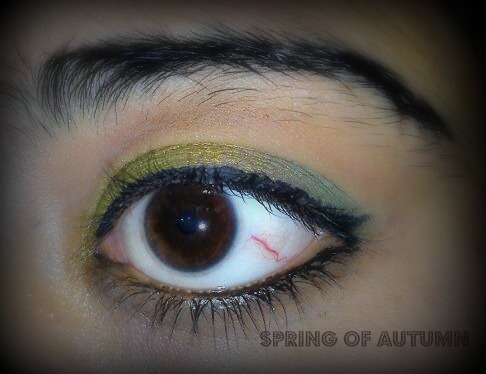 I love wearing it on my eyes on casual occasions. Bronzer is suitable for warm skin tones like Asians with a real bronze dust shade. However contour and highlighter powder is fully matte. The contour shade is very dark though which is a turn off. 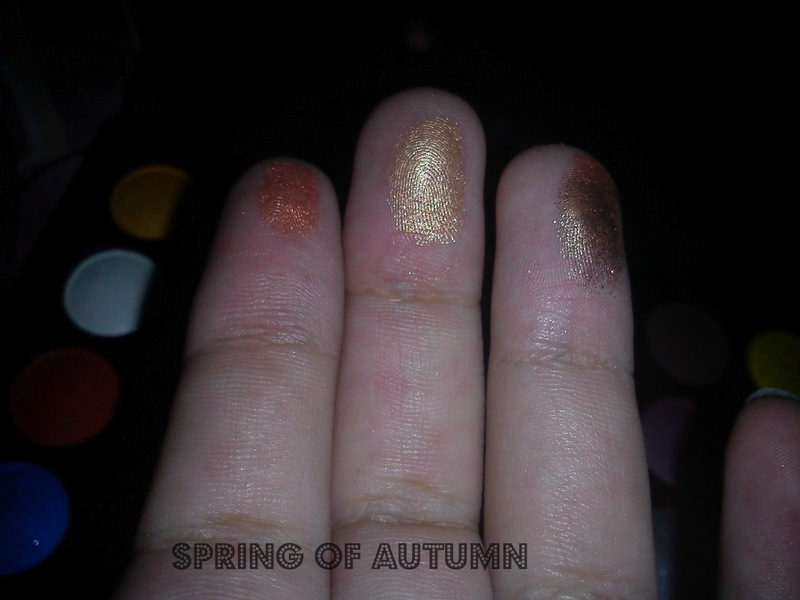 It has got 3 blushers with light and decent shimmer. whoaa!! The first one is peachy pink, awesome for summers, whereas the other twos are rose pink and baby pink respectively. The last blusher is awesome for fair skins, since it seems to do wonders on such tones. 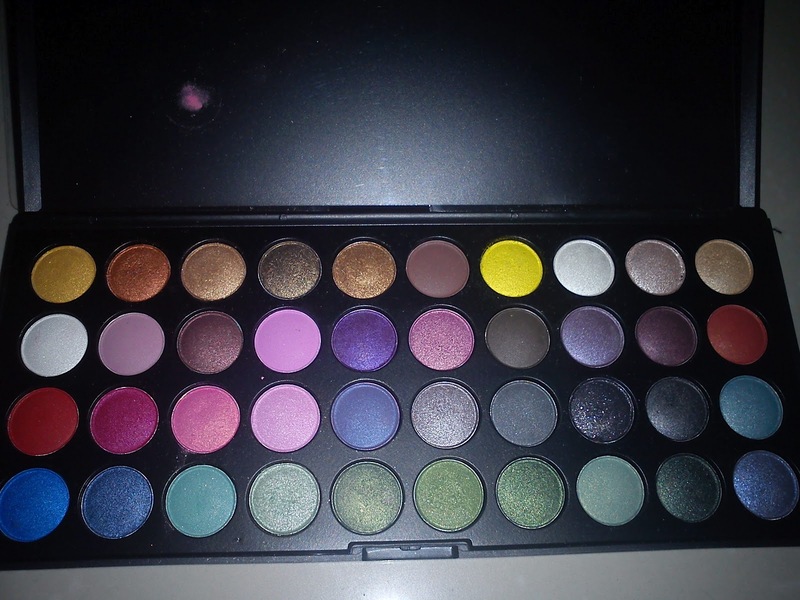 Can you get 16 awesome lip shades in an eye shadow palette else where? These are pinks, golds, peaches and reds. All closer to a natural application. Lip shades are moist and doesnt tend to dry or make your lips parched. 12 glitter creams. My smokey makeup is never completed without glitter creams. They are silver, bronze, golden and grey. 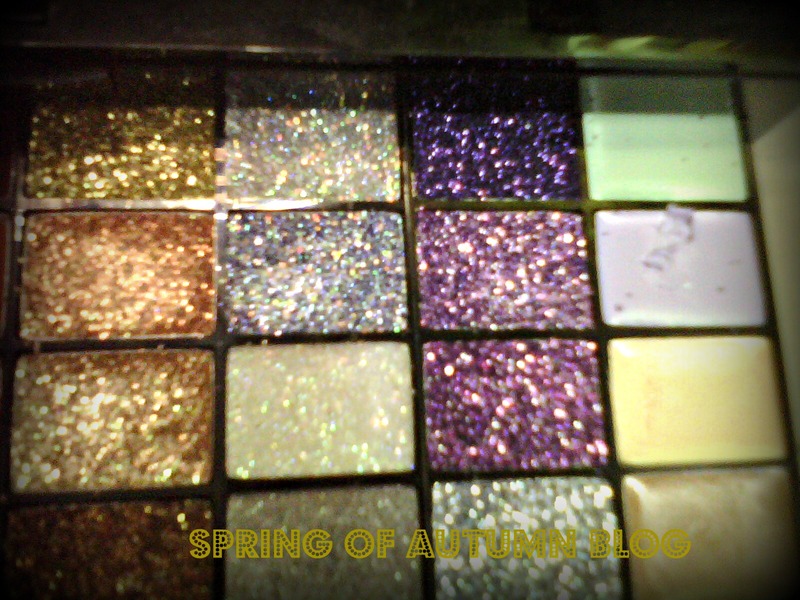 I love all the glitter eye creams. However i'm afraid they will not last long. It has got 4 concealers-brown, skin, light purple and light green. I donot think that i need to describe packaging. Photos are the proof to speak for the kit. I am in love with this smokey look collection, since it deals with all my makeup needs from night functions to evening and day wear including a natural wear. The eys shades are matte and shimmery both. Easy to apply and are pigmented. Only a little fine amount is ok if you have soft brushes. Eye creams do wonders as a finishing touch on smokey looks everytime. The eye liner is basically a black eye pencil. Very soft and easy to glide on lids. It is A complete travel package. Yeah, you donot need to carry all that pile of several glosses, lip sticks and blushers with weather switches in your bag. 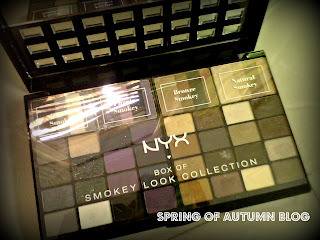 Simply get your Nyx box of smokey look collection from Blanc to Noir for only US$18.70. You are subjected to get a discount if you buy from this store, since the market price is $22.00. The size is travel friendly i.e 4*6.75. 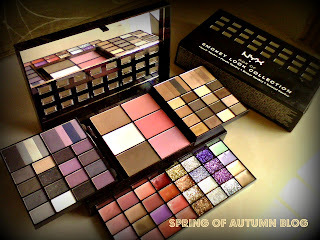 End of the Line: If you are crazy for kits and donot want to collect cosmetics pile, then go grab your hands on it! It deals with all the needs of a normal home-based consumer.